Walker Crash Repairs are a family owned crash repair business which began more than 40 years ago in 1976, by John Walker. As a passionate car enthusiast, he passed his love of restoring damaged vehicles back to their original condition to his sons, Mark and Sean, who now run the business. John is still actively engaged with the business, with more of an interest in caravans these days. Highly Skilled Technicians - our work in metal finishing, aluminium welding and polishing, and plastic welding and repairs is of the highest standard. 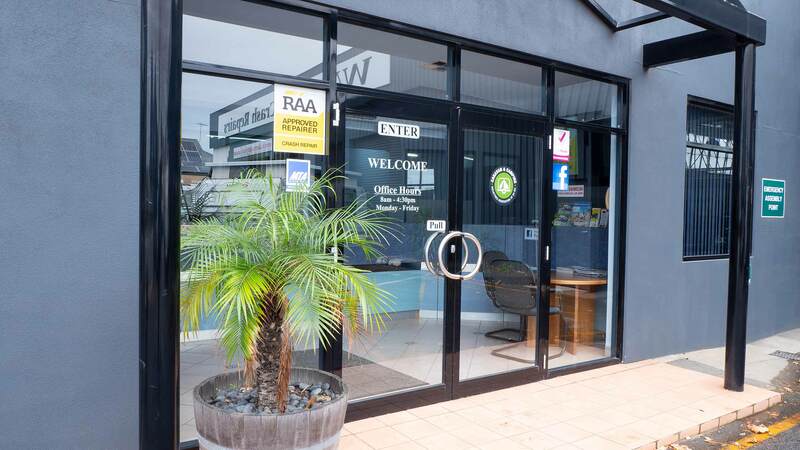 One-stop and State-of-the-art Crash Repair Workshop – onsite we have the latest welders, computerised body measuring equipment and dedicated Infrared paint bays. Quicker turnaround time – as we have all our skills and tools in house, this means we repair your car and caravan efficiently, on time and on budget. 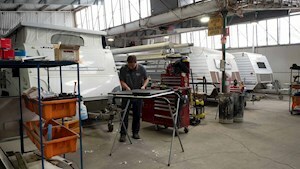 Lifetime warranty on your vehicle repair workmanship and 7 year warranty on your caravan repair workmanship – we repair with an intention that it lasts a lifetime. Environmentally aware – we use green-friendly water borne paints from German company Spies Hecker. 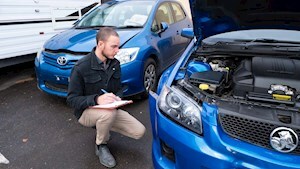 As one of Adelaide’s longest standing crash repair workshops, we have the experience, knowledge and the tools to train up-coming technicians. 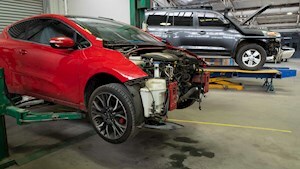 Our Crash Repair courses are industry recognised and we train technicians in the highest standards when it comes to repairing vehicles back to original condition. 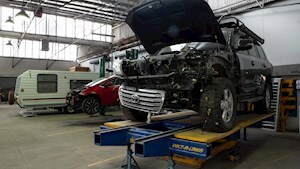 You will find many Walker Crash Repair trained technicians both on our own workshop and in many other car crash shops around Adelaide. Wouldn’t you want the best to work on your vehicles?